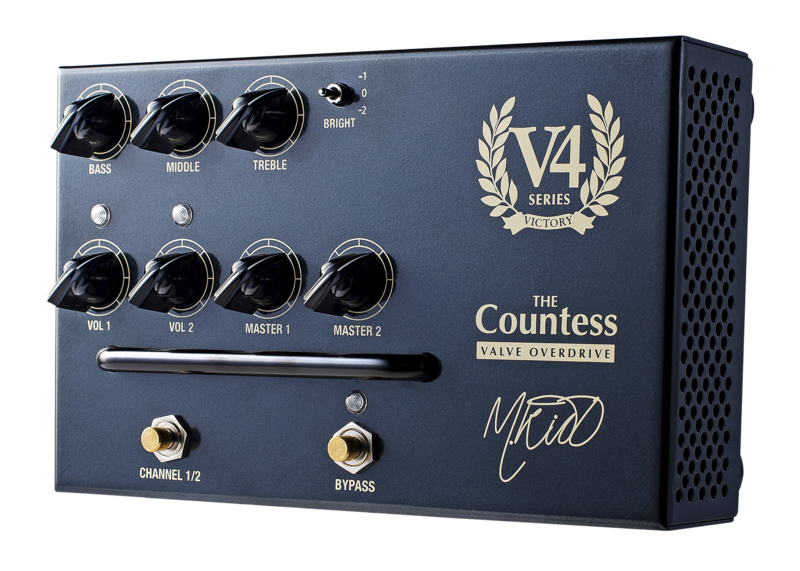 V4 The Countess is a two-channel, all-valve pedal preamp that delivers genuine valve overdrive. Use it straight into the front of your amp or recording interface, or alternatively use it in conjunction with your amp's FX loop to bypass the front end of your existing amp entirely for a whole new sound experience. This is definitely no 'ordinary' overdrive pedal! 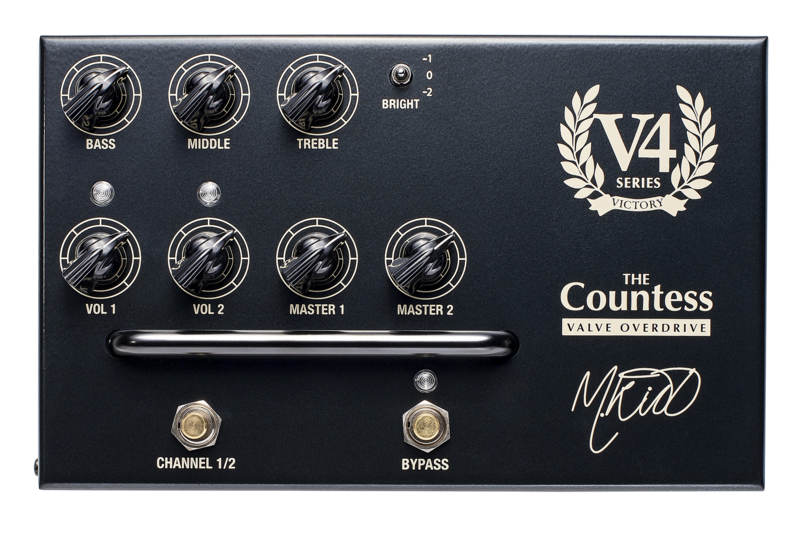 All three V4 Series Pedal Preamps feature the same functionality, controls and connections. 1 x EC900 and 3 x CV4014 valves running at high plate voltage. These are the first pedal-format guitar preamps to feature four valves and an all-valve signal path. This is no 'ordinary' overdrive pedal! Channel one is clean to mild breakup – great for pushing your existing clean tone, or actually cleaning up a crunchy amp if you're using it in amp-through mode. Channel two is unbridled, glorious overdrive! The TRS jack gives you option of switching the pedal remotely. 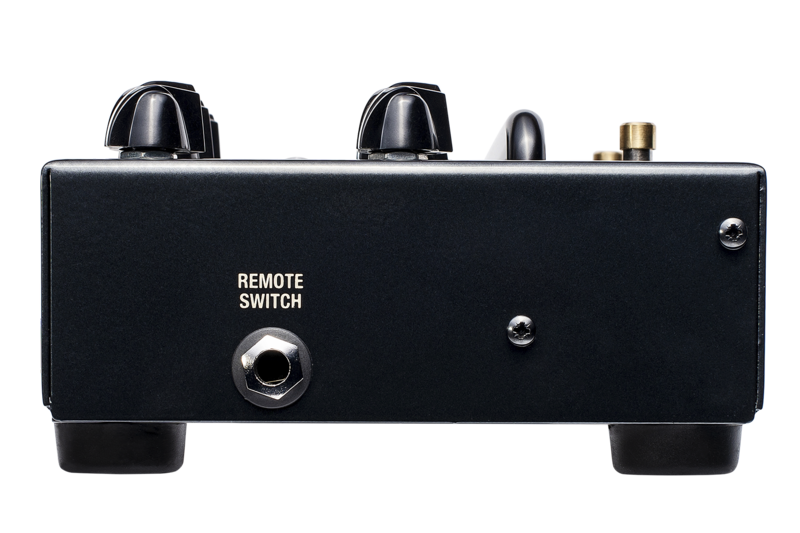 You can control on/off and also channel 1/2 with either a separate two-button latching footswitch or via a modern programmable switching unit. 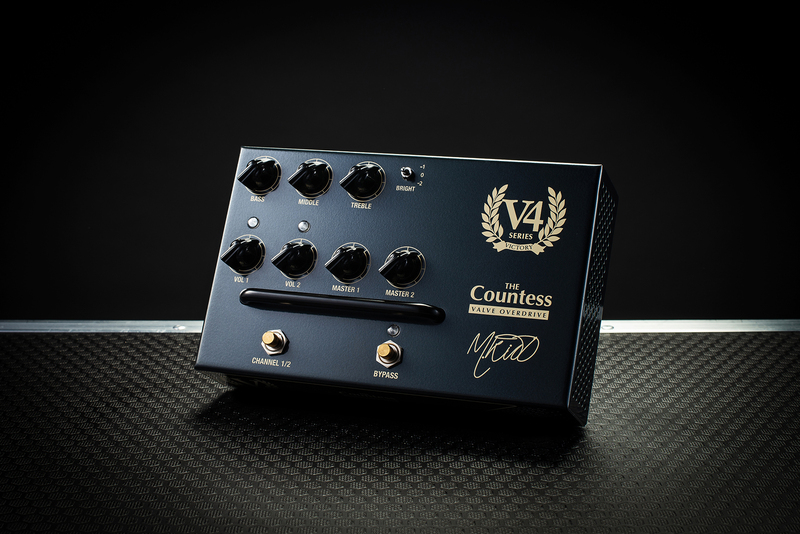 This means you can have the V4 Series Pedal Preamp off the floor and out of harm's way. We recommend 'Amp Through Mode' for full functionality where you can choose to use your amp's own front end, or the V4 Preamp via the amp effects loop. To use it as a 'normal' pedal or if you don't have an effects loop, use 'Standalone' mode. Bright is a global tone control that optimises the V4 Pedal Preamp for what you're plugging into. Amp effects loops, inputs, recording devices and so on all differ greatly, so just choose the setting that sounds best to your ears. Don't worry if other settings sound 'bad'. It all depends what you're playing through! Put it on your pedalboard, on top of your amp or on your desktop. It's particularly good for fly dates, or other situations when you're not using your own amp. Just hit the FX loop return of whatever you're using and feel right at home in no time. If you're going to be standing on it and it contains hot glass, it needs to be tough. The folded steel chassis and kick bar for the knobs means that this thing is ready for the road. Powerful bass, middle and treble controls. These also have a significant effect on the gain character and drive levels – just like in any valve guitar amp.